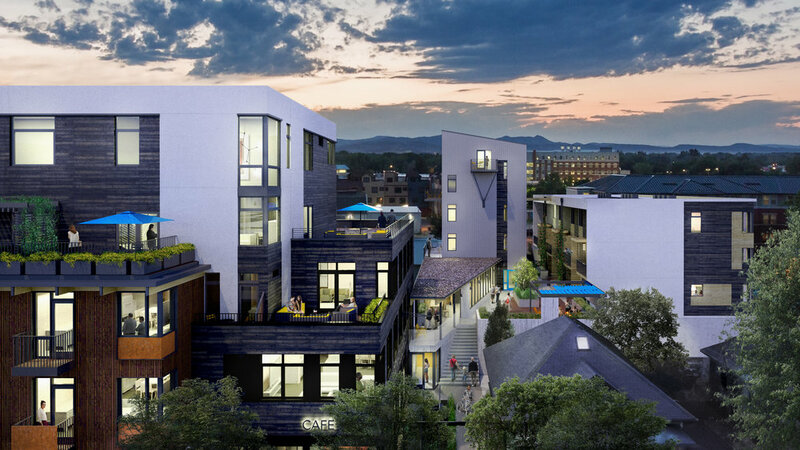 What can we expect from real estate in Old Town Fort Collins over the next year? A balanced pace of growth continued low inventory, and more homes breaching the million dollar mark than ever before. With a diverse economy keeping unemployment low, home appreciation has not so much slowed but has found the balance that has lacked over the past few years. Competition in the resale home market is anticipated to continue as inventory remains low but will lack the fierceness that has blanketed the previous years. Northern Colorado closed out 2017 with average sale price across the region topping $374,000. With a predicted 7% gain region-wide, we are on course to see average prices cross the $400,000 mark by the end of 2018. With location still remaining as the #1 rule of real estate, Confluence FC is excited to be a source of long-awaited new inventory in our market. There several new construction single family home options in Northern Colorado but, for those whose lifestyle centers in Fort Collins, most require additional commute. Areas to watch for new construction growth are Severance, Berthoud, and Wellington. 2018 will continue a trend towards vertical growth. The downtown skyline will change with the addition of more multifamily living and high end remodels and/or rebuilds in historic Old Town neighborhoods and in the burgeoning River District. This move toward urban infill will continue to develop alongside Fort Collins’ goal of being a walkable and bike-friendly community. As Fort Collins continues to experience population growth, supply and demand will seemingly stay in the favor of those who currently own the land. With the cost of construction labor and materials continually increasing to account for disaster relief in Texas, Florida, and California, new construction will remain at a higher price per square foot than existing homes. If any of this has your anxiety rising take solace that in the spring of 2017, Realtor.com ranked the Fort Collins-Loveland area as the nation’s No. 1 real estate market for stability and growth. Real Estate in Northern Colorado will remain a stable investment for years to come as we all know this is an incredible place to live! Want to learn more about Fort Collins real estate and the benefits of Confluence? Contact us! Pre-Sales are happening now for both residential and commercial space! Sign up for more information and we will be in touch with you. Don’t miss out on this amazing opportunity to live and work in Fort Collins’ River District!